Only a short trip today. This is to just get into position to make the dash down through locks 65 to 84 during opening hours. The book says that this is a striking example of the Manchester & Leeds Railway bridges. OK if you say so. Personally it looks as though it is made of Meccano. The tossers are out and down here and they start young. Several kids aged about 9 years old were hanging around one of the locks as we went through. In reply to my refusal to give them a ride I was showered with stones off the towpath. Luckily for them I was unable to castrate them or their parents. It was only about a mile to civilisation ? and we soon found the outskirts of Chadderton. However all grumbling aside the locals do seem friendly after my previous experience up-stream. There are two places to moor at Chadderton. 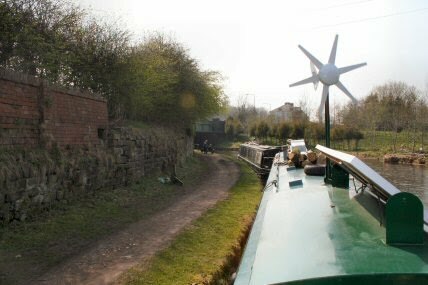 We are nearest to the lock from whence we go hell for leather to get to the other end - Locks 65 to 83 - between 0830 and 1600. The mooring is right outside the Rose of Lancaster pub. J W Lees bitter is rather good. Maybe I am maligning the locals but it only takes a few termites and the whole area is tarred with the same brush. 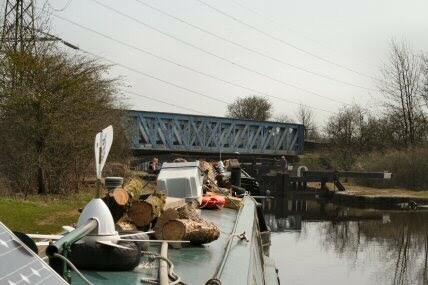 The second mooring is before the aqueduct by Lock 63. I have still to make my mind up as to my destination. It is a toss up between running down to Tewksbury or going on to Lincoln and get a mooring for a month and do some travelling. It is a few weeks before we reach Haywoods Junction and I have to make up my mind. A very early start tomorrow. 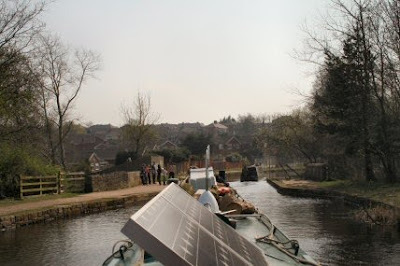 We are one and a half hours (it says 1 hour in the book but a local said that is optimistic) from lock 65 and they open at 0830 and then there are 18 locks to put a spanner in the works over a length of about 6 miles. as kids in the sixties , we knew the bridge as " the iron donger"